Auberge la Cure is an ideal place to start marvelous hikes throughout the region/in the mountains. The hotel is situated just around the corner from the National Parc des Écrins which is a paradise for every mountain lover or mountaineer. You can discover the national park on a day hike or by hiking from hut to hut. 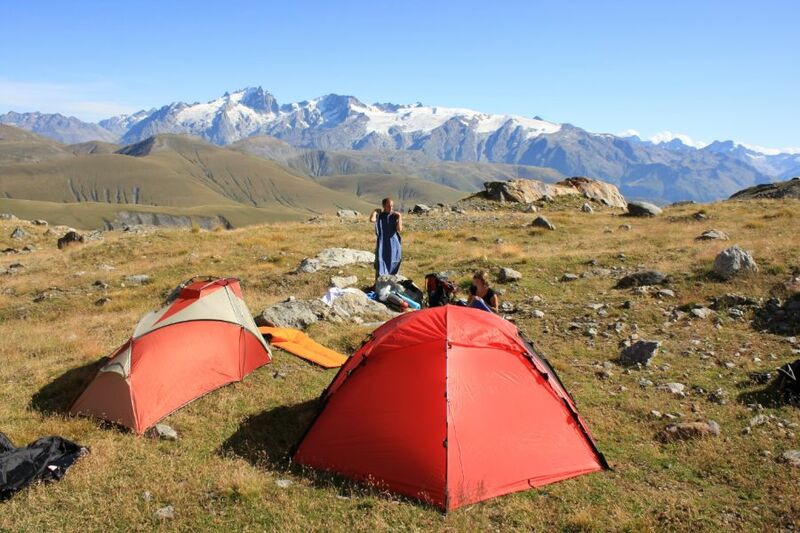 Outside the park there are also lots of hiking possibilities like the marked routes of the GR (Grandes Randonnées) or one of the many regional hiking routes to serene alpine lakes, marvelous mountain passes and remote mountain huts. Hopefully you’ll encounter some of the amazing wildlife of the region like an ibex, mouflon or chamois along your way. The best months to enjoy the mountains by foot are September and October because of the temperate weather, the marvelous autumn colors and the lack of other tourists. In the Auberge we are happy to help you plan any hike you would like to do. Bourg d’Oisans is at the foot of the National Parc des Écrins. This is the largest National park in France and is famous because of its many high mountain peaks. In the park there are more than 150 mountain peaks above 3000m. Two of the most famous peaks are La Barre des Écrins (4102 meter) and La Meije (3983 meter).